Microsoft employees with ailing members of their immediate family will be able to take up to four weeks of paid time off to help care for them, the latest addition to the Redmond company's relatively generous leave policies. Microsoft is tacking on a new paid leave benefit, offering up to four weeks of time away from work for employees who need to take care of an ailing family member. That offer was available for U.S. employees beginning on Tuesday, the company said. Microsoft employees in 22 countries already have the new benefit, and a broader rollout in the coming months is expected to cover the rest of Microsoft’s 121,500 employees worldwide. The benefit, which applies to employees who have an immediate family member with a serious health condition, is the latest perk the technology giant has introduced amid a fierce competition to hire and retain employees. Software companies like Microsoft occupy one of the hottest corners of the U.S. economy, churning out profits as they rewrite the rules for entire industries. That’s led to fierce competition for workers with cutting-edge technology skills, along with criticism that workaholic cultures can be a detriment to employees and society. Microsoft is among the companies in recent years that boosted parental leave offerings in the U.S., which, in contrast to much of the world, doesn’t have a government mandate for such benefits. In 2015, the Redmond company added another 12 weeks of parental leave for new mothers and fathers. Combined with Microsoft’s existing maternity disability leave of eight weeks, new mothers can cumulatively take 20 paid weeks off. 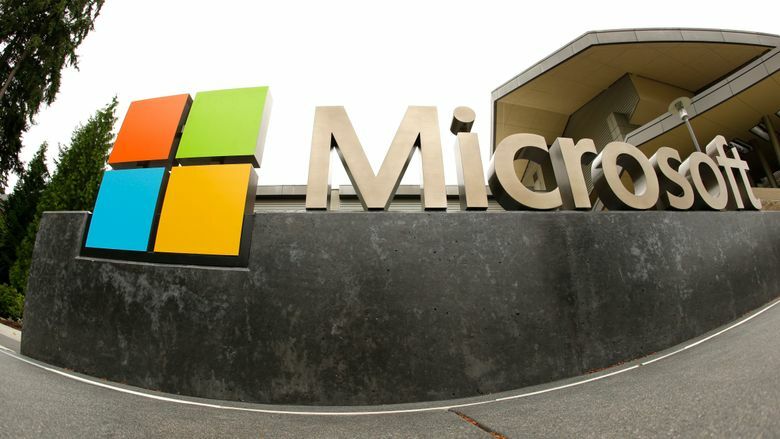 The new Microsoft policy introduced Tuesday also goes beyond the bare minimum that U.S. law requires, and follows similar moves by a few other big companies. Last year, consulting giant Deloitte and Discovery Communications both broadened their parental leave programs, 16 weeks and 12 weeks, respectively, to cover caregiving for sick relatives. Facebook implemented a six-week caregiver leave this year. And LinkedIn, which Microsoft acquired in December, has its own caregiver benefits program. Caregiver leave was among the potential benefits requested most often by Microsoft employees, and one that Microsoft’s executives had been keeping their eye on as companies and countries deployed caregiver leave policies, the company said. Microsoft human resources chief Kathleen Hogan said in a blog post that her experience fighting breast cancer also helped inform her thinking on leave policies. Her family, she said, was able to be by her side.